We asked grieving dads on social media to tell us what they would tell another grieving dad. What would they share to help someone else understand their deep Father’s Day grief and everyday grief? The responses we got, there is really no way to introduce them. We wish we could have included every single one. 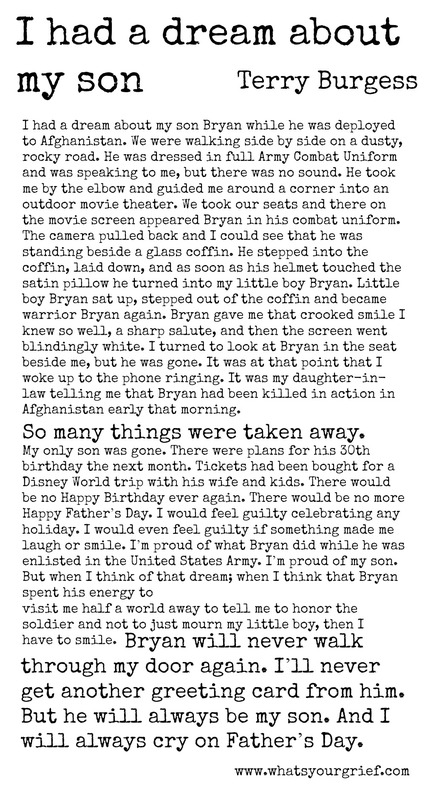 Today, this Father’s Day, we’ll let a few of these grieving dads speak for themselves . . . Subscribe to get all of our posts straight to your inbox. 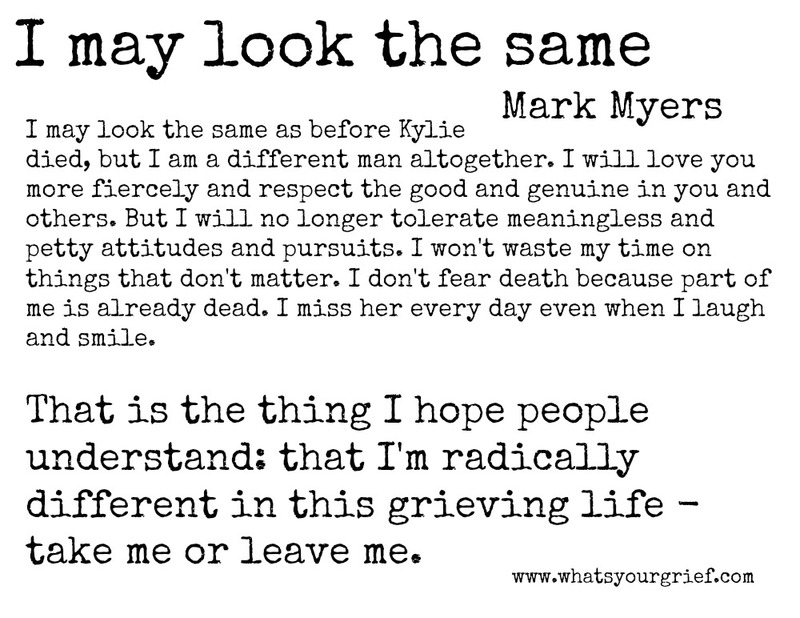 6 responses on "From One Grieving Dad to Another"
Thank you to the couragous men who shared these painful experiences. I honor you and your loved ones. 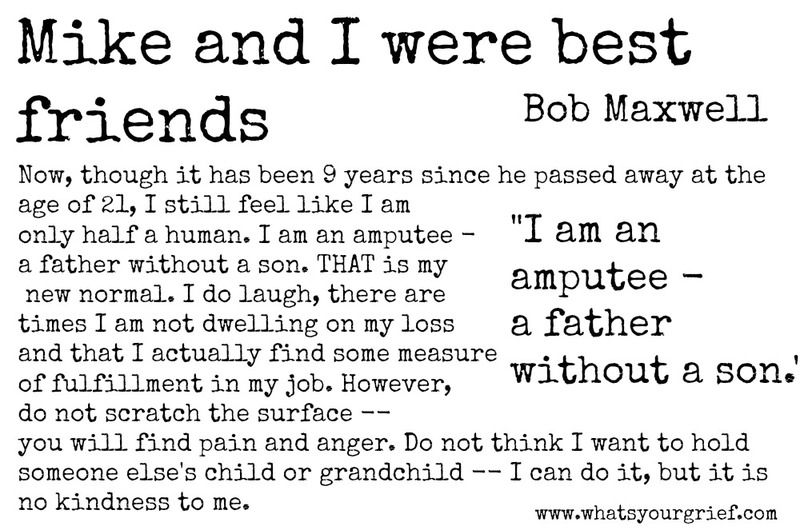 My brother and his wife killed themselves, in their fifties. There were only two of us kids. My dad is 88. His only son. It doesn’t help to ask “why” but you do it anyway, over and over. Daddy does not want to read painful things about death or talk about Tom’s death. What’s the use? He tells me. I don’t know how to help him. Men of his era don’t cry or go to support groups. He finally got on antidepressants. They seem to help a little. I want all the help I can get processing my grief. But what can I do to help him? He’s a wonderful man and father. It’s heart-breaking. 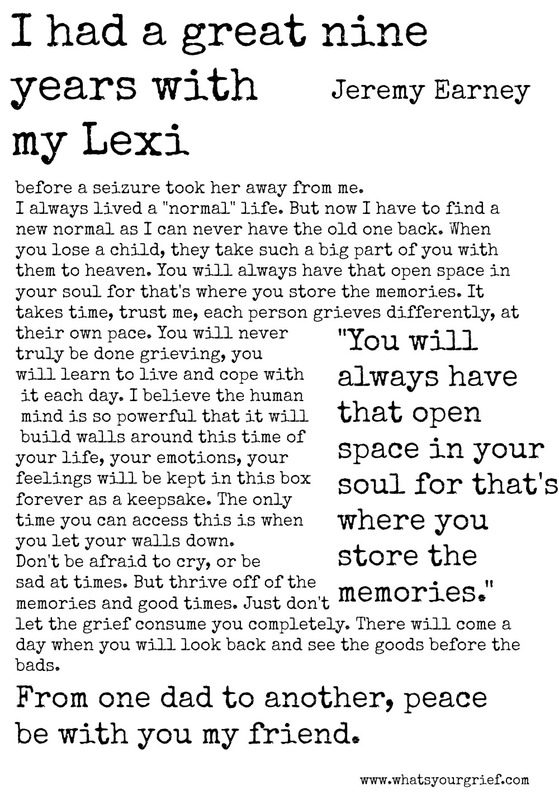 I lost my son 3 years ago and also feel a part of me is gone. I struggle but slowly my ‘good’ days are outnumbering the bad ones. Time does heal somewhat but Andy’s memory lives on. I feel privileged to have read what you all have shared. Thank you for that. Brought to mind Stephen Levene’s writings and how to dwell in pain (physical or emotional) without losing hope. My husband’s version of this is “riding the wild horse.” Peace and love to you. When you are a son and a father, Father’s day is a celebration. When your father dies, Father’s day takes on a new dimension of grieving amid the celebration of your own fatherhood. Then, later, when your son dies and you spend your first Father’s day with neither a father nor a son to celebrate, a terrible lonliness embraces you in its cold arms. 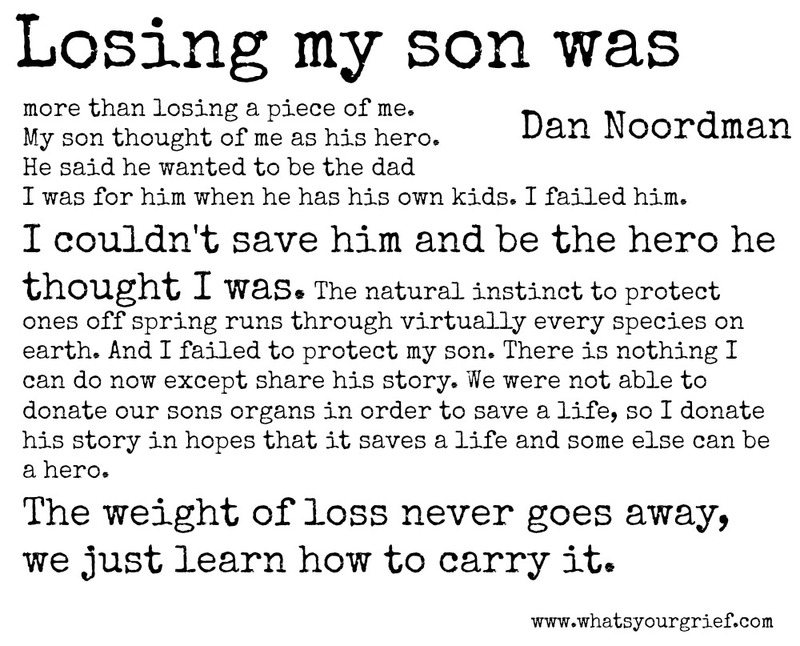 Yes I have lost my son, name is his Ethan, he had a SIDS four months old in 2/2001. I has been hard time my feelings about his life. He did not getting any sick or else. He was very happy and laughed as good health. But he gone.